Devolutions founder David Hervieux has been named one of three finalists for the prestigious “2016 Investissement Québec CEO of the Year” award. The annual award, which is bestowed in conjunction with the Quebec Technology Association (AQT), is voted upon by CEOs from Quebec’s leading information and communications technology (ICT) firms, as well as by a distinguished panel of jurists and online voters. Devolutions, the creator of Remote Desktop Manager (RDM) which is trusted by over 270,000 users in more than 120 countries on 5 continents, proudly announced today that the company’s founder David Hervieux has been named as one of three finalists for the prestigious “2016 Investissement Québec CEO of the Year” award. 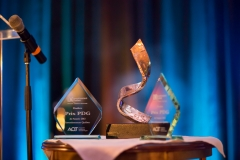 The annual award, which is bestowed in conjunction with the Quebec Technology Association (AQT), is voted upon by CEOs from Quebec’s leading information and communications technology (ICT) firms, as well as by a distinguished panel of jurists. Online votes also comprise a portion of the overall weighting. Mr. Hervieux also noted that his company’s continued success stems largely from its global community of users, and through the efforts of his colleagues: “Devolutions is driven and shaped by our incredibly active and supportive community of IT professionals, who continuously tell us what they want, need, like and dislike. And of course, my exceptional team members go above and beyond each day to live our values, which are characterized by a commitment to transparency, evolving our human capital, fostering a team culture, sharing our expertise, demonstrating creativity, and non-stop innovation”. The winner of the 2016 Investissement Québec CEO of the Year award will honored at a special gala, which will take place on February 18 at Mont Tremblent, Quebec. The date and location have been chosen to coincide with the AQT’s “CEO Vision”, an exclusive event for CEOs of ICT firms that will run from February 17-19. More information on the award, along with profiles of all three finalists, is available on the AQT’s website. For all other information or media inquiries, contact Maxime Trottier, Marketing Director, at (514) 360-3686 or mtrottier@devolutions.net. Quebec with over 270,000 users in over 120 countries on 5 continents, and a growing customer base that includes Boeing, Shell, Walt Disney, Dell, Sony, Airbnb and NASA. The company is on a mission to develop innovative enterprise software that helps users cost-effectively, simply and effectively achieve their network management, password management, credentials management and security goals – and ultimately “Control IT Chaos” in their environments. The firm’s current roster of Windows, Mac and mobile solutions include Remote Desktop Manager, Password Vault Manager, Devolutions Server and Devolutions Cloud.